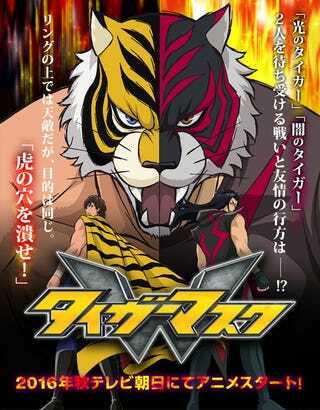 It will be Called Tiger Mask W (As in Double) and will come this fall alongisde the history! Toei Animation has has opened the website for the new Tiger Mask Anime, and has uploaded a Teaser and a preview of the history. Toshiaki Komura (Ring ni Kakero 1) is directing the Anime at Toei Animation obviously; Katsuhiko Chiba (Baby Steps) is supervising the series scripts; Hisashi Kagawa (SaiKano) is designing the characters. Since this anime got announced I have put my eye on it!